Identical to IntelliRope® PE 6.0 except it has fewer polyethylene (PE) monofilaments. 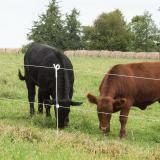 Use for temporary and permanent electric fences for all livestock. Good for all sites but particularly for humid climates because polyethylene resists mildew the best. Excellent built-in elasticity. Use one of our reels to rewind and store rope. 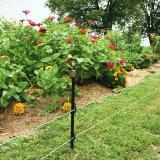 EzeReels™ can be set on the ground next to fence. MiniReels™ are best hung from the fence. This has become the main conductor used on our farms. Much more visible than standard electric wire and easier to install (doesn’t try to “re-wind” itself). Last winter became caught in the fence (as evidenced by the hair left behind) and it broke the rope (a rare occurrence). We were able to mend the break by simply using a RopeLink 2.0. 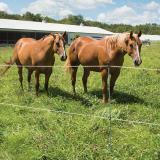 If you’re fencing specifically for horses use the 6mm ( 6mm Rope, EnduraSoft, IntelliBraid)… Read More » or tape conductors. A pleasure to work with. Wishing it had a couple more hot wires in it but seems to work fairly well. Have bought it 3 times in past 2 years. Love it for installing ease and pleasing to look at. Great product. 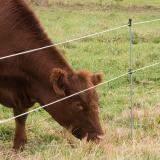 Easy to use and my cattle respect the white rope much better than wire or the thinner yellow rope I had used previously. The rope has great strength and visibility. 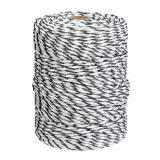 I have used this 4.5mm rope for several years as a single-strand perimeter for finishing beef. Highly visible and conducts well, the cows respect it when properly energized. I keep it taut with premier p springs, and use rope links for tie offs. A convenient an affordable system. Good wire. I've found it to last 7 to 10 years. 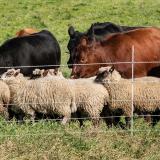 Great for Gates and or temporary paddocks. 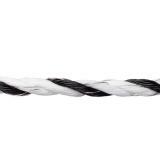 More visible and stronger than the smaller polywire. I have used this rope for my donkey and mule for several years. It is easy for them to see easy for me to put up and take down. 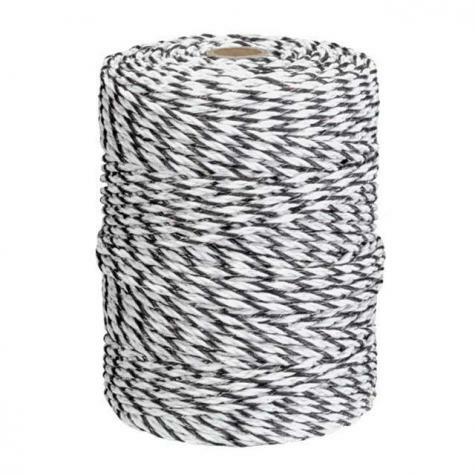 I have used four different types of rope for them and this is by far my favorite. Would definitely purchase again!